The Transfiguration of Christ is found in Matthew and Mark as well as here in Luke. In all three, the sequence of events leading up to it is the same: Peter receives the revelation that Jesus is the Messiah, the Son of God. Jesus foretells his impending death, then speaks to his disciples about the need to deny themselves, take up their cross and follow him. This is followed by the statement that some standing there would not die before they saw “the kingdom of God” (Luke), “the Son of Man coming in his kingdom” (Matthew), “that the kingdom of God has come with power” (Mark). About eight days later, Jesus takes Peter, James and John with him to the mountain to pray. The Transfiguration, then, is a very powerful revelation of the kingdom of God and the glory of Christ the King. Jesus was deep in prayer when his face and clothes became radiant with light. Moses and Elijah appeared suddenly, also full of glory and splendor. Moses was the great Law-giver and Elijah the great prophet of the Old Testament. They were conversing with Jesus about his “departure,” which would soon be accomplished at Jerusalem. They had both had unusual departures themselves: Moses was buried by God and nobody ever found the grave, and Elijah did not see death but was translated to heaven in a “chariot of fire” in the middle of a whirlwind. The word Luke chose for “departure” is significant. It is the Greek word exodus, a very evocative term, being the Greek title for the second book of the Old Testament. The book of Exodus was about how God led the children of Israel out of Egypt through Moses. The exodus Jesus was about to fulfill was his death on the cross but also his resurrection from the dead and his ascension to his throne at the right hand of the Father. It was not a departure through death but a departure from death, for his death became the death of death itself. By his death, we also are set free from death, and from the one who holds the power of death. “Since the children have flesh and blood, he too shared in their humanity so that by his death he might break the power of him who holds the power of death — that is, the devil — and free those who all their lives were held in slavery by their fear of death” (Hebrews 2:14-15). The exodus Jesus accomplished became our own “deliverance from Egypt,” for in him we are crucified, made alive again and seated in the heavenlies at the right hand of the Father (Galatians 2:20; Ephesians 2:4-6). Peter and his companions were very sleepy, but when they became fully awake, they saw his glory and the two men standing with him. As the men were leaving Jesus, Peter said to him, “Master, it is good for us to be here. Let us put up three shelters — one for you, one for Moses and one for Elijah.” (He did not know what he was saying.) While he was speaking, a cloud appeared and covered them, and they were afraid as they entered the cloud. Peter, James and John had been asleep — it was often Jesus’ way to go off and pray in the night or early morning hours — but now they were fully awake, though understanding very little of what they were witnessing. They had missed much of it and by now Moses and Elijah were leaving. Peter, being the earnest and impulsive man that he was, wanted to build three dwelling places: one for Jesus, one for Moses and one for Elijah. He did not understand what he was saying — so he went ahead and said it. At that moment, a cloud came over them and Peter left off what he was saying, terrified as it enveloped him and the other two. The voice of the Father said, “This is my Son, whom I have chosen; listen to him.” It was not Moses or Elijah but Jesus alone who is the Son and whom the Father anointed as Messiah. Moses and Elijah — the Law and the Prophets — were always about him, and in him they find their fulfillment. “In the past God spoke to our ancestors through the prophets at many times and in various ways, but in these last days he has spoken to us by his Son, whom he appointed heir of all things, and through whom also he made the universe” (Hebrews 1:1-2). Christ is God’s final and complete word. He is the one we are to listen to, and in him we will understand the meaning of Moses and Elijah. But now let’s consider the transfiguration itself, for Christ is “the radiance of God’s glory and the exact representation of his being” (Hebrews 1:3). 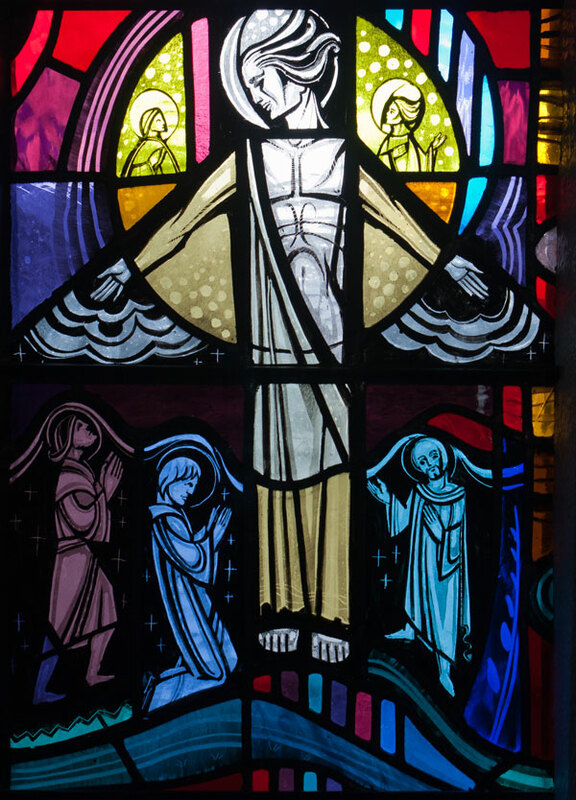 The transfiguration was not a transformation of who Jesus was but a revelation of who Jesus is, a manifestation of his divinity in the form of his humanity. It was his divine glory being revealed for what it is. In the transfiguration of Christ, we see what God has always intended for humanity — to conform us to the image of Christ, transforming us as we allow him to renew our minds. He is at work in us not only empowering us with the ability to do what pleases him but also creating in us the desire to do so. As Christ was revealed in his transfiguration that day on the mountain, that is how we, too, shall one day see him — and we shall be like him, for the revelation of Christ transforms us. “Dear friends, now we are children of God, and what we will be has not yet been made known. But we know that when Christ appears, we shall be like him, for we shall see him as he is” (1 John 3:2). Even now, “the darkness is fading and the true light is already shining” (1 John 2:8).